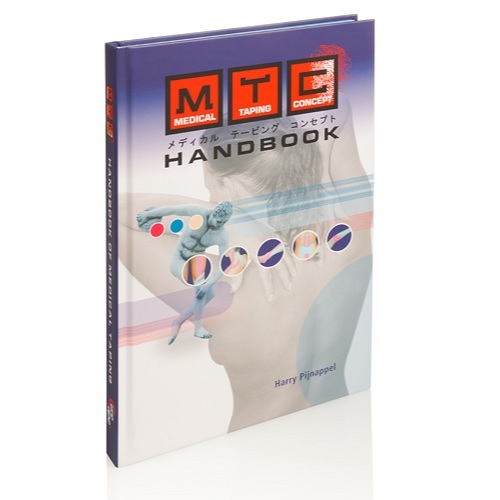 This kinesiology taping method book is written by MTC teacher Harry Pijnappel and comprises a 192 pages with full color images. This manual is written in English especially for (para) medical professionals. The first chapter describes the effects of the tape and substantiated. Themes also come as swelling, pain, itching and lymph discussed. The following chapters are practical applications shown for kinesiology taping. The basic taping techniques are discussed as well as numerous pathologies. This kinesiology taping book is also available in other languages: German, French, Polish and Russian.